The annual Geneva Motor Show is here again, with celebrated car manufacturers presenting new concepts and innovations for the years ahead. This year, an abundance of hybrid cars seem to point towards an electric future, while supercars and hypercars continue to challenge their limits. See the announcements that got us excited. The Aventador SVJ was officially unveiled in the summer of 2018 at the Pebble Beach Concours d'Elégance in the US. This new roadster version is fitted with the same 770 horsepower V12 engine, and offers the same top-level performance, namely acceleration of 0-100 km/h in 2.9s, a braking distance of 100 km/h to 0 in only 31m and a top speed of 350 km/h. With its lightweight materials (aluminium and carbon fibre) and its various features taken from the motor racing world, the Lamborghini Aventador SVJ Roadster is a powerful beast adapted for the road. Only 800 units of this new convertible will be produced. It is expected to be available this summer at a pre-tax price of €387,007. Lamborghini's stand at the Geneva Motor Show will also feature its new Huracan EVO Spyder. 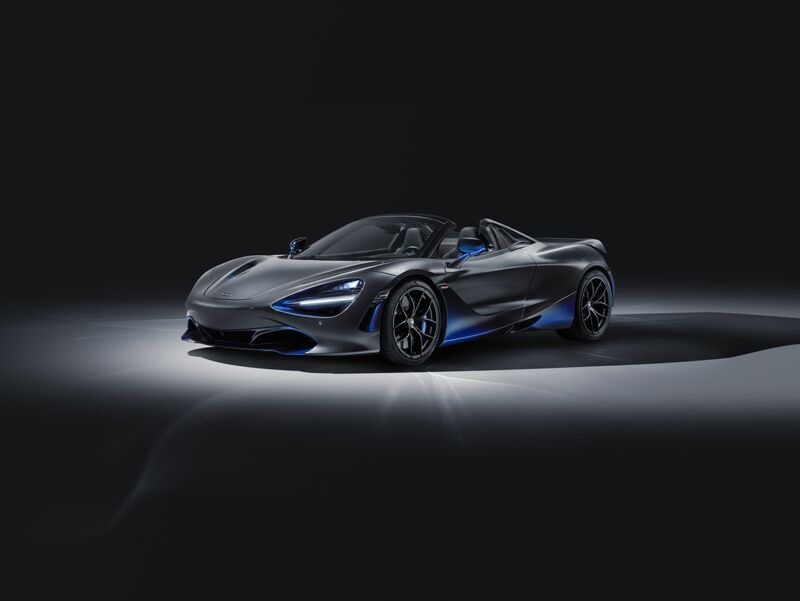 This bespoke McLaren Spider 720S features the same 720hp 4.0-litre twin-turbocharged V8 engine, delivering 0-100km/h acceleration in 2.9 seconds and a top speed of 341km/h (with the roof closed). The model on McLaren's Geneva stand—the 720S Spider by MSO—stands out with its Coriolis tri-tone blend of paints. Fusing three colours (Cerulean Blue, Burton Blue and Abyss Black) the finish accentuates the various design features of the vehicle's aerodynamic design. Technicians in the McLaren customization department spent over 260 hours completing the tri-tone paint elements alone. The finish is applied to individual body panels in order to emulate the flow of air over the 720S Spider's aerodynamic body while the car is moving. Visitors to the Swiss show can also see the British automaker's 1,050hp Speedtail hypercar, capable of topping 400km/h. All 106 models produced have already been snapped up by buyers. Ferrari's LaFerrari won't be the only hybrid in the company lineup for much longer. On Tuesday in Geneva, Ferrari CEO Louis Camilleri told reporters that May showers will bring a brand-new Ferrari hybrid supercar—possibly with a V8, according to Bloomberg. This will be the second hybrid the company has ever made after the LaFerrari was launched in 2013, and the second new model that Ferrari will launch in 2019. When asked by Roadshow about the upcoming lineup, Chief Marketing and Commercial Officer Enrico Galliera said that the company will "establish 'clear, different positioning' for each new model, ensuring each targets a specific type of buyer." The F8 was targeted at those who want a supercar that's still "streetable," whereas the V8 hybrid will be for more emissions-conscious drivers. Additionally, a V6 is on the way; according to CTO Michael Hugo Leiters, "This will be the next step to follow the speed of downsizing without losing any performance or driving emotion." Leiters even went as far as to say that Ferrari is having serious discussions about developing an all-electric car, though for the time being, a battery vehicle simply does not fit a brand that's known for its iconic combustion-engine roar. In any case, another Ferrari hybrid will make its debut in just a couple of months. With increasingly stringent emissions standards, it's likely we'll be seeing several more over the next few years. The 89th Geneva Motor Show runs March 7 to 17, 2019, at Palexpo in Geneva, Switzerland.